This easy hot fudge sauce only contains 4 ingredients and will be ready in less than 30 minutes! 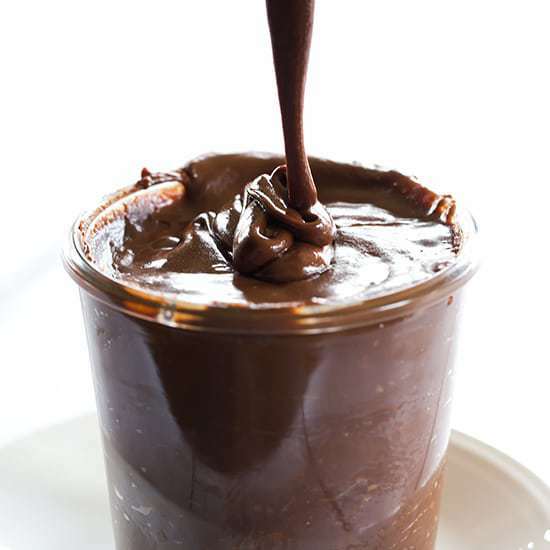 Hot fudge sauce is an absolute necessity for anyone who loves ice cream. What goes better with cold and creamy vanilla ice cream than a soft and smooth chocolate sauce? Not much of anything, right?! 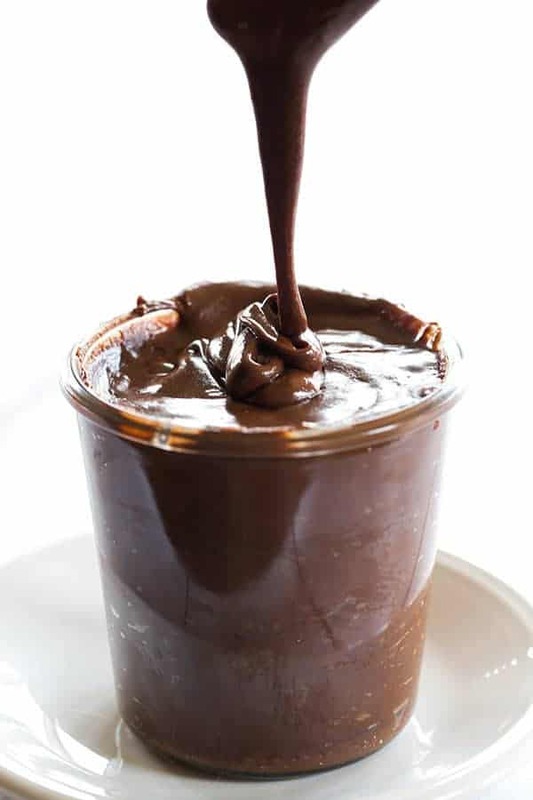 I first made homemade hot fudge sauce nearly four years ago, and while it’s very good, I wouldn’t say it’s perfect. There is a longer list of ingredients and some of the reviews were that it was a little bit too bitter and became too chewy when it was poured over ice cream. Challenge accepted. I’ve been testing some new recipes here and there for awhile and I finally found a total winner, the search is definitely over! 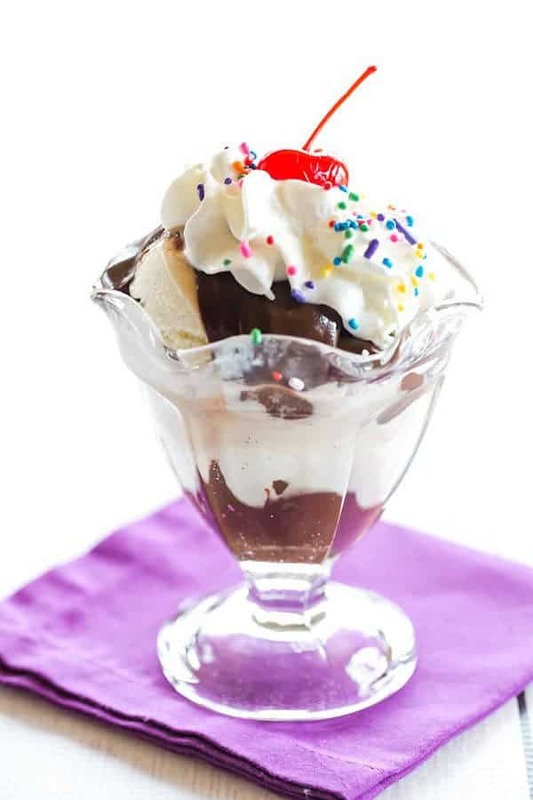 A few recipes I tried were just too involved for something simple like a hot fudge sauce, and some got too painfully hard once poured over ice cream – no good! 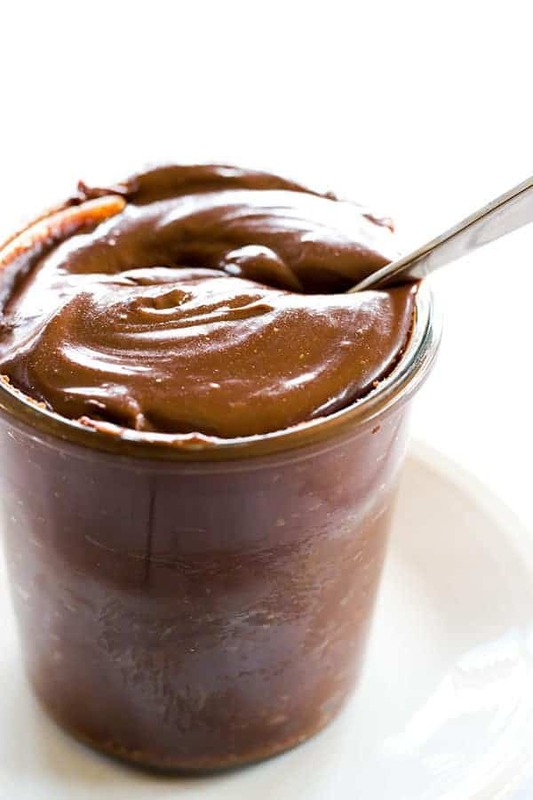 This hot fudge sauce recipe, as it turns out, is pretty much all over the Internet and most people attribute it to a mom or grandma’s recipe box, which makes me love it even more. You likely have all of the ingredients you need in your pantry, and you can whip this up in less than a half hour, beginning to end. It’s on the sweeter side, so not too bitter, and it remains nice and soft when it’s poured over cold ice cream. Make this immediately and keep a jar in the fridge all summer – there’s nothing quite better than a fabulous hot fudge sundae! Place all ingredients in a medium saucepan over medium heat. Bring to a boil and, stirring constantly, boil for 8 minutes. Remove from the heat and allow to cool slightly before serving. The sauce can be stored in an airtight container in the refrigerator for up to 1 month. Reheat as needed.